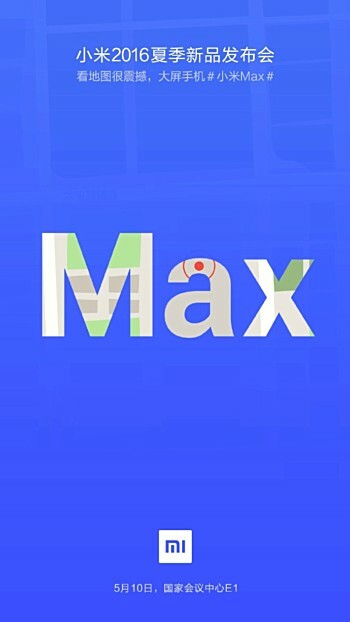 The last time we reported something on Xiaomi Max, it was related to its screen size. Now, the 6.4-inch behemoth of a smartphone is going to be unveiled on May 10, and its hardware is not too bad to be honest. 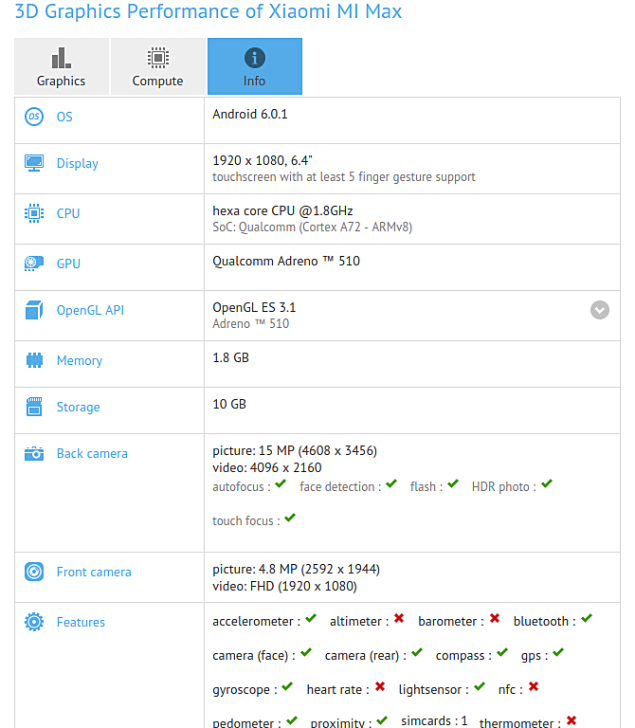 According to the latest hardware sheet from GFXBench, Xiaomi Max is going to be incorporated with a Snapdragon 650. While the SoC produced on the 28nm process will come nowhere close to the performance of Snapdragon 820 and Exynos 8890, it will still give the mid-ranged chipsets something to think about thanks to the inclusion of Cortex-A72 present in the SoC. What’s more is that the primary selling point of Xiaomi Max is not only going to be its affordable price tag, which is a business model that has long been the success of the company, but its 6.4-inch screen size as well. The resolution being rendered on the device will be 1080p, and the natural benefits of having a massive phone in your hands will not just be having more room to play games and enjoy high-definition content, but Xiaomi will have ample room to place a massive battery capacity too. If a Redmi Note 3 is able to accommodate a 4,000mAh battery underneath its chassis, then we honestly do not see any reason why Xiaomi Max will not feature a cell possessing an even higher capacity. As for the pricing, Xiaomi Max could come with a smaller price compared to Mi5. Since the phablet sized device features less amounts of RAM, a chipset manufactured on the 28nm technology as well as less internal storage, the upcoming smartphone will be even more affordable when compared to the Snapdragon 820 running handset. Knowing Xiaomi, the company will do its level best when pricing the phone, since its aim is to target the crowd that does not have the financial capacity to go after devices like Galaxy S7, Galaxy S7 edge as well as an iPhone. Do you guys think that Xiaomi Max is going to be great phone in terms of battery life and pricing? Let us know your thoughts right away.